Royal Stetson Silverbelly Cattleman Felt Hat 7 1/8" [ WY ]. A real nice salty old Stetson, worn by an original Wyoming Cowboy, his other hat is a size 7 1/8", So I'm assuming this one is about the same size, it fits the same on me as the other one does. The inside plastic covering is slightly cracked, but a very cool nice old Stetson. Just right for shaping and making the way you want it to be. Shipped with USPS Ground. Original, early 1900s. brim 2.5 in. crown 3.75 in. around inside edge 21.75 in. The box itself is unique and I've not seen one quite like it before. The hat is a beige/light brown or taupe?. maybe color (I am not good with colors) and it is a fedora style. It also says that in the inside center of the hat. Hat is in great condition, has light wear. Says Large but feels pretty small may be for a youth. CHECK OUT THE PHOTO! Check them out every week! Style / Marked Size : Western Cowboy Hat / 7 1/8. This hat is pre-owned and is in used condition. There are signs of wear, use, and age. Significant lint, light pilling, and smudging is present. Edges show abrasions. Would call it, Stationary Set, Hand Bag, Purse or whatever. This is a unique item that is in Good Condition for its age. This item is Beige or Light Brown in color and stands 8 1/2" high x 6 1/4" wide. Overall it is still a solid hat. Take a good look at the pictures so you can get a good idea about it's condition. The inner sweat band is approx. The foam head is NOT included. It is tan with a tan grosgrain band. No size label, but fits a size 21" head. Also marked inside K2 hand creased. 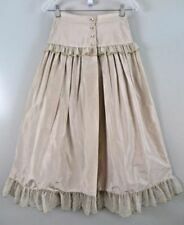 Has a white and copper satin lining. Nice condition with very minimal wear. Handbag made in JAPAN. Inside has slip pocket and zipper pocket. Lined in beige fabric. CONDITION: Good - Clean inside and out. Vintage Lucite Box Purse, Circa 1950s. 8-Sided Box, Beige with Gold Speckles Design.This purse was purchased in Miami, Florida. Probably Charles S. Kahn of Miami, but cannot be certain. The paper label was removed. Glue mark remains. Clear Lucite lid has molded crisscross design. The lid has scratches and is a bit hazy. The clasp is worn and a bit loose. Overall condition is fair to good for nearly 70 years old.Shipped with USPS Priority Mail. Vintage Akubra Stockman Hat, size 60, Original, Beige, made in Australia. Vintage Akubra Stockman Hat, size 60, Original, Beige, made in Australia.. excellent condition Shipped with USPS Priority Mail. Vintage Natural WICKER Weave Hand Bag Straw BASKET Purse, Leather . Shipped with USPS Priority Mail. It measures about 8 inches tall, 8 inches wide and 4 inches thick . Vintage Tapestry With Hunting Scene Beige Leather Handbag Purse tag inside reads Margaret Smith Maine. outside good shape some discoloring around top edge not bad. Inside shows wear see pics. Selling as is. size 7.25“ x 12” hangs 6” from shoulder. Thank you for your interest in my items. New listings daily. we just moved to Flagstaff AZ, lots of funky items coming soon! All items from a non-smoking free environment. IT HAS A LUCITE HANDLE. IT IS LINED WITH GOLD FABRIC. THERE ARE 4 LITTLE FEET. IT HAS A SNAP CLOSURE. Never any animal or smoke odors. This handbag/purse is light tan with an, i am assuming faux alligator, lizard, print and feel exterior. (see photo). There is one divider for 2 pockets inside the purse with a small zipper pocket. All hardware works. Just took the hat to boot barn to match up the size and it is right at 7 1/8 “. Colorful raffia flowers and black piping trim. Great vintage banana republic hat. Has a snap on one side and adjustable neck strap. Tag says Mill Valley California. No blemishes I can see. Check out my other auctions! Shipping will be $8 to the lower 48 states. Message me before bidding if you'll need it sent elsewhere. Local pickup in Nederland Colorado also available for free. Lastly, Ill be out of town for a month. If this is payed for by noon, US mountain time on 12/13 It will ship next day. If payed for after 12/13 It will be shipped during the second week of January. I'm not positive, but I think it is real snakeskin. On the handle strap, one "scale" section is slightly pulling away. The interior is a white-colored vinyl (maybe leather, but it doesn't quite seem like it). ANTIQUE JOLLES HEAVY BEADED PURSE WITH COIN PURSE AND HANKY. JOLLES IS SCREENED ON LINING INSIDE UNDER CLASP. INSIDE THE PURSE WAS A WONDERFUL HANKY IN OFF WHITE WITH VERY DETAIL HAND WORK. LIGHT STAINING ON THE HANKY BUT BEAUTIFUL - 11" X 10 1/2" APPROX. 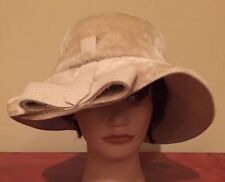 Vintage Beige Fur Felt Stratford England Fedora Battelstein's 1950's MINT Vtg. Shipped with USPS Priority Mail. Vintage Gold PURSE Floral Needlepoint Tapestry Small Handbag. 7 “x 12”In very good condition. Very clean inside and out, and has a good firm closing grip. Shipped with USPS Priority Mail. For sale is a very nice looking belt buckle,Gold Tone with white accent. ETIENNE AIGNER. Etienne Aigner logo on front. Taupe color. PURSE BAG HANDBAG. Front and back of purse have a large open pocket. Entire purse is smooth leather. The inside has one zip pocket - NOTE: Zipper pull is missing-pocket will not close. Vintage Whiting & Davis Metal Mesh Purse - White - Ivory. Shipped with USPS Priority Mail. UP FOR SALE AND YOUR CONSIDERATION IS THIS INCREDIBLE FEDORA HAT BY "JOHN B. STETSON".IT IS IN VERY GOOD CLEAN CONDITION. IT HAS BEEN KEPT IN THE ORIGINAL BOX ALL THESE YEARS. IT IS A RARE ATTIC FIND. Interior pouch pocket - original mirror included. 8" x 6" x 3" - strap drop is 4". WHITING DAVIS MESH BEGGARS BAG SIGNED . Shipped with USPS First Class Package. Purse is in excellent used condition. The top is a little worn from use, but it is intact and works well. The exterior of the body is in a beige, floral brocade; the interior is ivory color bridal satin with two self pockets. Condition is in keeping with age and use. That way I can send you an adjusted invoice. VINTAGE EDDIE BAUER USA MADE DOWN EAR FLAP PANEL HAT SAND INSULATED RARE Size M. Shipped with USPS First Class Package. This has beige with Turquoise and Brown Flowers on both sides, with 5 little tear drop balls at base along bottom "V". Marked inside just a wonderful piece! CONDITION - This is beautiful and needs to be polished! 1920 Turquoise Porcelain & Silver Flower FLAPPER Purse "Mandalian Mfg. 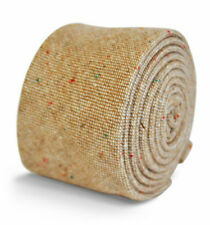 Co."
It has a beige thin grosgrain strip. Fine looking. New ListingAntique Vintage SOURÉ BAG ladies purse/handbag with intricate SILVER clasp. Antique Vintage SOURÉ BAG ladies purse/handbag with intricate SILVER clasp.. Shipped with USPS Priority Mail. This buckle is in reasonably good pre-owned condition. It fits nicely on a 7/8” wide belt.